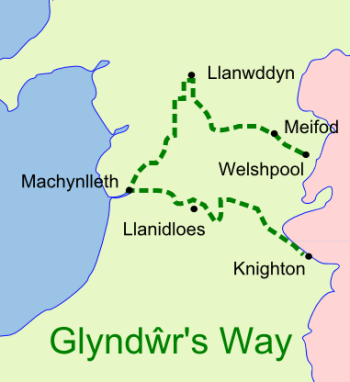 The 135 miles/217 km Glyndŵr’s Way is named after the rebellious Prince, Owain Glyndŵr. Owain Glyndwr rebelled against English rule in the fifteenth century and succeeded for a time to gain Independence for the Welsh Nation. We have a saying in the Welsh language, “Mwynder Maldwyn”, which doesn’t quite translate into English. The nearest translation is “the gentleness of Montgomeryshire”. It doesn't truly describe the splendid contours of this fascinating area of mid-Wales, let alone the character of its people. 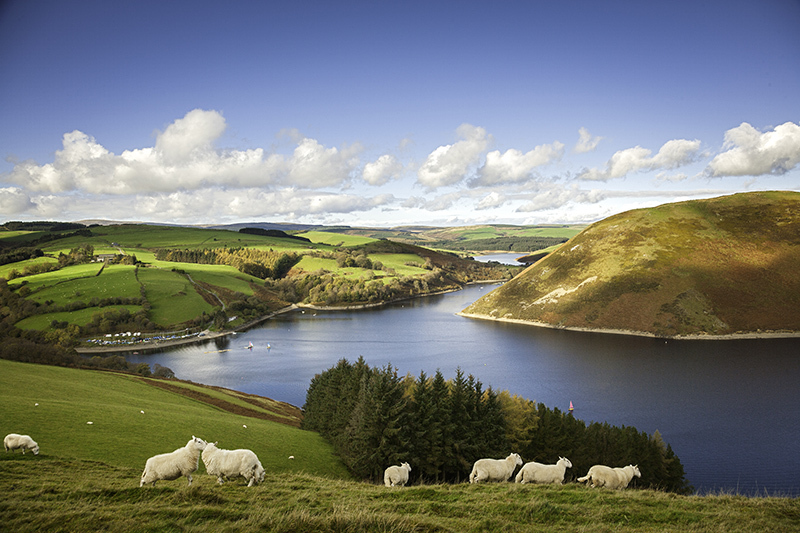 The walking packages combine rolling farmland, open moorland, forests, lakes and reservoirs in Mid Wales. 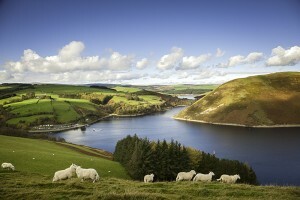 Glyndŵr’s Way takes you through some of the most remote and unspoilt countryside Wales can offer. Due to its remoteness, the area has become the natural home of the Red Kite as well as Buzzards and Peregrine Falcons. Glyndŵr's Way is one of the quietest of all the National Trails, and usually takes about 9- 12 days to complete. The Glyndwr's Way is easily accessible with train stations at Knighton, Machynlleth and Welshpool for arrival and departure. Anyone who is reasonably fit can walk the Glyndwr’s Way. It is very hilly, often dropping into valleys and ascending hills several times in a day. Walkers should be aware that the Glyndwr Way crosses country that is sometimes rough and remote. If you don't fancy walking the whole trail, why not book a short break of half trail packages. The places visited on your walk has special significance to a special period in Welsh history, be it Abbey Cwm Hir, Plynlimon, Welshpool, Knighton or Machynlleth. Machynlleth is where Owain Glyndŵr established the first Welsh Parliament. 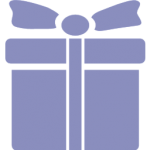 Based on 2 persons sharing a twin or double room. Solo walkers walking on their own, added charge of £35 per night. For those walking with others, but wanting a single occupancy room, there will be a single supplement charge of £20 per night. Rest days £45 per person per night. My wife & I used this company to organise our accommodation & bag transfer on the Glyndwr Way last week. 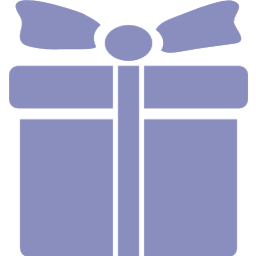 They offer really quite a personalised service & were always prompt in responding. We were very happy with how they operated, the places we stayed & the bag transfer happened seamlessly .. happy to recommend to others wanting to do the same.